Craig Lovett is arguably one of the most experienced people today in the area of cleaning and waste strategies, for venues and events around the world. His experience comes from the daily hands-on approach to growing his business’ on a global scale, and nowadays Craig is invited to speak all over the world on venue design, the importance of cleaning and waste integration, labour management and the systems now used to ensure environmental integrity at public assembly and retail facilities worldwide. This has required total design management of waste streaming from environmental packaging, to on-site recycling and education of all stakeholders, through to the end result being handled in a compost, recycling, or re-usable manner. Both his company Cleanevent, and Craig personally have been the benefactor of many awards recognising excellence in these fields, and also for the growth and export success of his Australian founded business. It is all about mobilising large numbers of people, large amounts of equipment, amazing forward planning; “fit for purpose” company designed proprietary scoping technology programs, and ultimately seeing the big picture of clients’ venues and events. His business and relationship skills have ensured loyal staff and clients throughout Australia, United States of America, United Kingdom, Europe and the Middle East. 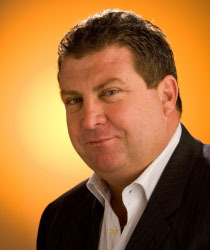 In June 2008, Craig founded and launched Incognitus, a consulting and strategic business advice company, focused on the provision of Strategy, Solutions and Sustainability within the Venues, Events and Retail sector. As a true Global advice business, which draws on 25 years of service to the sector, Incognitus is a new chapter in Lovett’s book of achievements. Typically, a story about Luck v Opportunity, Craig does not believe in luck “unless you are gambling”, however more so to the belief that if you put yourself in the right space and look around, an opportunity will most always be nearby. Craig is an active member of the Young Presidents Organisation (YPO), an International organisation dedicated to better leadership through education and knowledge exchange.